It’s always intrigued me how songs from the past can blaze forth into popularity again. 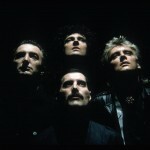 One of the biggest comeback songs that I can remember in my youth was Queen’s “Bohemian Rhapsody.” Originally written by Freddie Mercury in 1975 for the album “A Night at the Opera,” this 5 minute and 55 second elaborate piece of music includes a ballad portion, a rifftastic guitar solo, an manic operatic interlude, and a headbang-inducing rock portion. When “Bohemian Rhapsody” was released as a single, it was on the top of the UK singles chart, and reached number 9 in the United States. 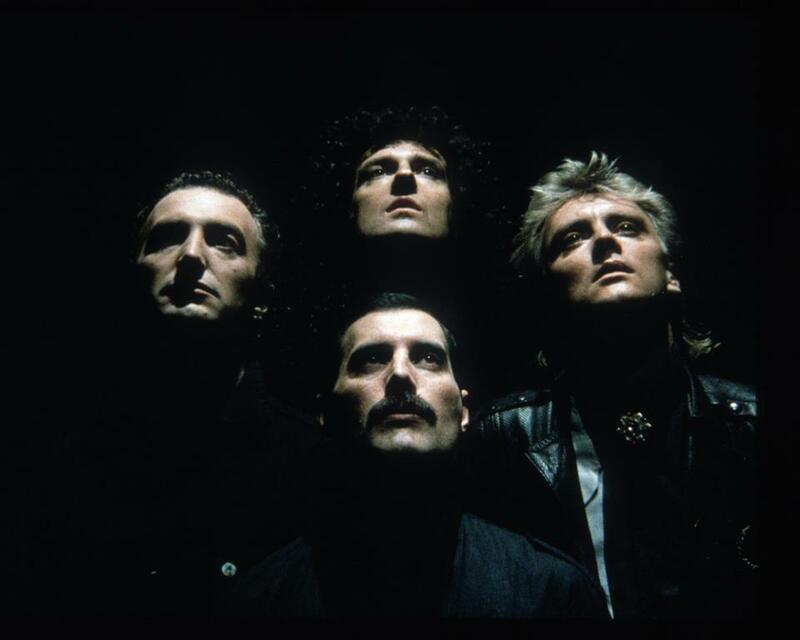 15 years later, it reached number one again for five weeks following the death of Freddy Mercury, and it became the UK’s third best-selling single of all time.Queen’s most iconic song continued to rule the charts with the 1992 movie “Wayne’s World“. It’s impossible for me to think of my 6th grade year without thinking of Wayne’s World and Bohemian Rhapsody. Saturday Night Live was all the rage at my school, much to the chagrin of my parents. 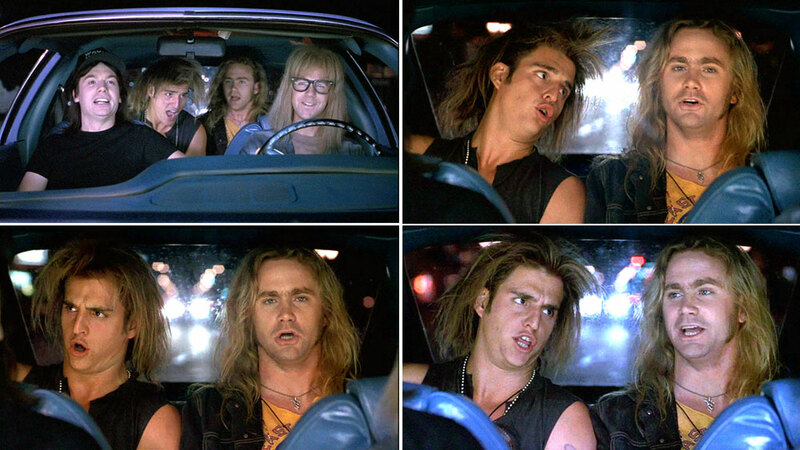 I didn’t know what “headbanging” was until everyone went crazy with the hard rock interlude of the song, as evidenced by the car scene in Wayne’s World. It seemed like a timely transition into the headbanging and mosh-pitting of the grunge era. Mike Myers and Dana Carvey may not have been in the band Queen, but they will always be associated with the song. Party on, Wayne! 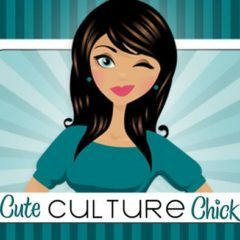 I often felt like a rebel listening to this song…because my parents always rolled their eyes when I played the song (which, mind you was recorded on a cassette tape off of the radio). It was just another song from their late teen years, and I treated like it was the greatest thing since sliced bread. 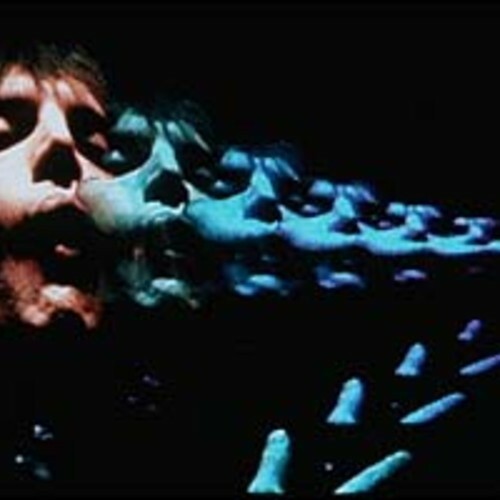 I was entranced by Freddy Mercury’s voice, especially in the ballad portion. Some musicologists believe the lyrics describe a suicidal murderer haunted by demons, or depict events preceding an execution. Personally, after finding out that the lead singer of this epic rock song had died, the lyrics felt even more strange and surreal. 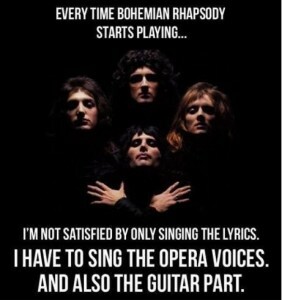 I distinctly remember singing the ballad portion to a crying child while babysitting. As soon as I started singing “Mama, ooooh. Didn’t mean to make you cry. If I’m not back again this time tomorrow, carry on, carry on…as if nothing really matters.” I don’t think I fully understood the morbidity of that portion of the song. I was never asked to babysit for this family again, but at least the song put the screaming child to sleep. 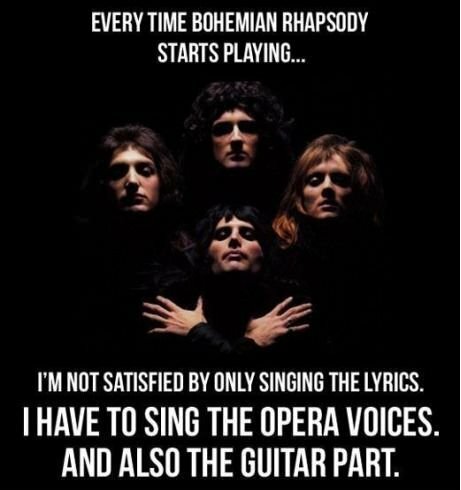 What memories do you have of Bohemian Rhapsody? Did you also fall in love with it during the 90’s? Have you ever headbanged to it? Do you still say “Party on Wayne! Party on Garth!”?